WEBINAR SNAPSHOT: Learn the best ways to assist borrowers facing foreclosure & lenders who need to execute it. While the number of properties in foreclosure declined nationwide, there were still over 900,000 foreclosures last year. Whether you represent a borrower or a lender, it is essential that you are thoroughly familiar with the foreclosure process in Tennessee. Is there a defense to the foreclosure? Does the lender have the proper documentation, particularly if the mortgage has been assigned? Foreclosure Process and Case Management Strategies for Tennessee Attorneys — is just $107. 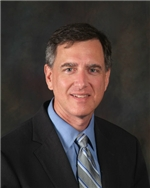 Edward T. Brading is a sole practitioner in Johnson City, Tennessee. Mr. Brading's practice areas include business and commercial matters, especially commercial lending, commercial real estate acquisition and leasing, and creditors' remedies. He earned his B.A. and J.D. degrees from Vanderbilt University. Mr. Brading is a member of the Tennessee and American bar associations. Since 2000, he has served as the Editor of the Probate & Property magazine, a publication of the ABA's Real Property, Trust and Estate Law Section.